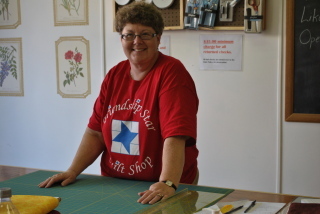 The Mom of the mother/daughter duo of Friendship Star Quilt Shop. She's been a quilter for over 25 years. This is her working retirement.